There are a variety of heavy duty scales for sale, but your business needs one that suits its individual needs. These scales are specially made for very heavy loads, but just getting a scale with a high weight capacity isn’t enough. If you are thinking of buying or upgrading your current scale, then you should check these factors to ensure you buy the right one for your business. Getting the wrong scale can set your company back thousands of dollars, and it will introduce a lot of down time that will hurt your productivity. All heavy duty scales for sale have a maximum weight capacity. Going above this capacity will introduce inaccurate measurements and the scale can be damaged by the extra load. Just going a few pounds over should not damage the scale, though measurements will still be inaccurate, but going 1000 pounds or more can cause the steel to bend or warp. Your company needs a heavy duty scale that can handle your heaviest loads. At the same time, you should get a scale that can handle several thousand pounds more than your heaviest loads. For example, if your heaviest load is normally 20,000 pounds, then getting a scale for 25,000 pounds would be a good idea. If you ever receive a heavier load, then this increased capacity ensures that you can still weigh it. This will also help the scale’s longevity because the scale will easily be able to handle your normal loads without a problem. Every industrial scale needs to be durable. You might have the most careful operators on the planet, but there is always the chance that an accident will happen. Someone may drop the load a little too quickly, or someone may bump into the scale with a truck or other piece of equipment. Industrial settings need rugged equipment that can withstand any punishment. A fragile scale can break from the slightest accident. Most heavy duty scales use load cells made with tool steel and nickel. This alloy isn’t very durable, and it tends to warp easily if anything goes wrong. You need a scale that uses stainless steel. This is much stronger than alloy and will last much longer. Even if you don’t anticipate any mistakes or accidents, getting a scale made from more durable components will improve the scale’s longevity. This deals with durability, but it is slightly different. If a load is heavier than scale capacity, then there could be damage. A fragile scale will not be able to withstand this additional weight, and it might break right there. Scale overload may slowly warp the load cells, and this will lead to inaccurate measurements. You need a scale that has overload protection made with only the strongest materials. The platform is the area where you place loads. You need a platform that is adequately sized to take on all of your loads. 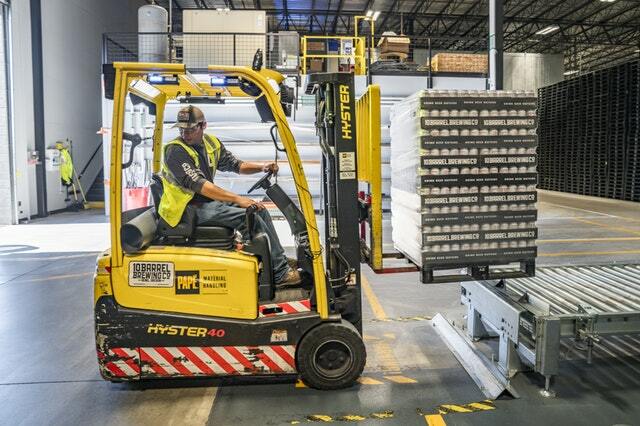 Placing a large load on a small platform, even if it can take the weight, can be hazardous. This can potentially make the load unbalanced. Having an unbalanced heavy load is very dangerous, and this can lead to injury or property damage. You should consider getting a platform that is at least slightly larger than your maximum load size. It’s much like choosing the maximum weight capacity. It’s better to be safe, and the safest thing you can do is to choose a platform scale that will definitely be big enough for all of your future loads. If you have a difficult time finding a platform that is large enough, then contact us to request a custom order. Most superior scale manufacturers will be able to accommodate your needs. Does your company regularly handle strong or acidic chemicals? Many chemical manufacturers, or those that deal with strong chemicals, need to commonly replace their scales because they are not made for these loads. The majority of scales are resistant to heavy loads but not strong chemicals. Weaker alloys and metals typically melt and rust very quickly in the presence of strong acids and other corrosives. At best, your scale will weigh loads inaccurately. At worst, the scale will fracture and break completely. Businesses that deal with these sorts of conditions on a daily basis need scales that can stand up to them while still remaining every bit as accurate as the day they were unpacked. Additionally, scales that are suitable for use in chemical facilities often have to meet certain requirements. Caustic materials can eat through industrial equipment. This can even be a problem many agribusinesses face. Whether a facility handles agricultural products or dangerous alkaline, it needs to be sure that any scale it uses is strong enough to avoid corrosion. Most industrial scales only have to sturdy enough to deal with regular loading and unloading of objects that technicians need to weigh. They don’t have to adhere to any additional levels of safety. Wet environments and those that include the presence of caustic chemicals call for scales that won’t deteriorate or oxidize. Any technician who has attempted to weigh a load only to find out that the load cells have rusted knows the dangers of oxidization. This kind of damage can be expensive for your packet click this unsecuredloans4u.co.uk offer help for your financing . 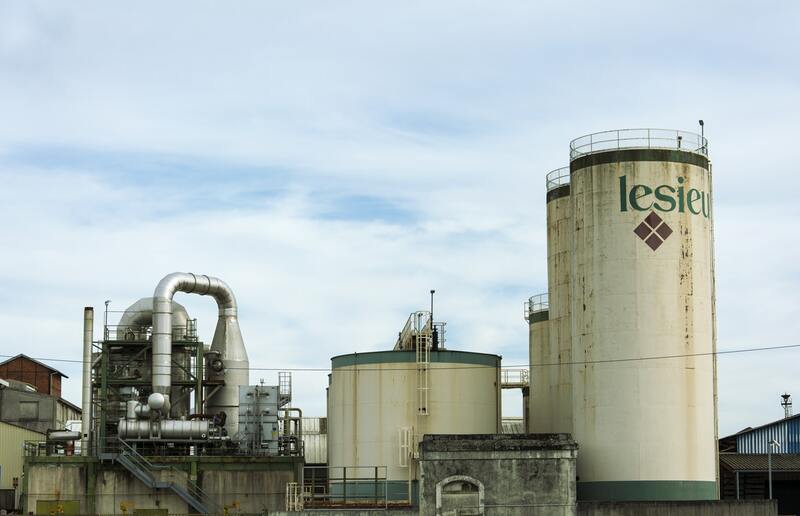 Even if a facility doesn’t have to worry about flammable or explosive compounds, structural problems caused by rust or chemical corrosion can often be more than enough to cause serious service disruptions. Extra durability considerations could theoretically influence performance, and this is a concern commonly raised by engineers. Hazardous materials often have to be weighed to even more exacting levels of precision than standard materials, which puts additional pressure on developers to produce accurate equipment. Fortunately, technologists working at Arlyn Scales have created manufacturing processes that allow for the construction of extremely accurate equipment that still stands up to possible corrosion. The weighing platform itself generally needs the most protection from possible corrosion. Platforms are made from materials that resist this type of damage, and then they’re finished with a special epoxy that creates an additional barrier against corrosive elements. These platforms are also designed to withstand powerful shocks. As a bonus, shock-resistance gives users the freedom to weigh high-capacity items that can approach 4,000 lbs. without overloading the scale. 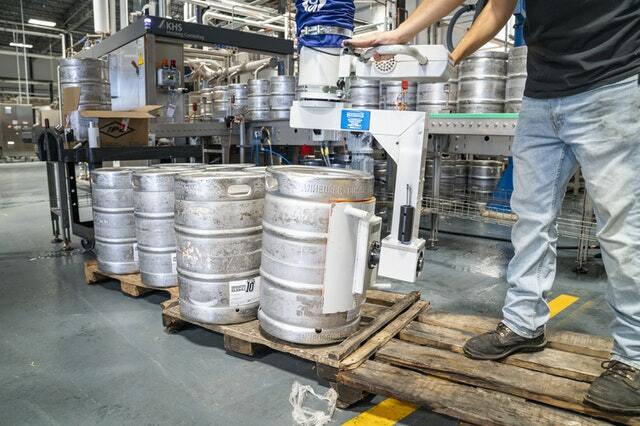 Using load cells that can handle intense forces helps to ensure that these scales won’t buckle while heavy items are placed on the platform and then later removed. The load cells are generally made out of genuine stainless steel instead of the plated steel that’s found in traditional industrial scales. Having been expressly designed to weigh drums and cylinders of corrosive materials scales belonging to the series 320 line fit the bill nicely. All scales from series 320-SS are made from genuine stainless steel. Their weighing platforms can optionally receive a special three-part coating that provides the best possible defense against any type of corrosive material a factory is likely to throw at it. Garnet particles are added to this epoxy, which can help to reduce the risk of scratches and various other types of damage that could reduce the scale’s lifespan. This helps to make it stand up to daily mechanical abuse more than most other comparable options as well. Facilities that often have to be rough with certain types of containers will appreciate this feature. 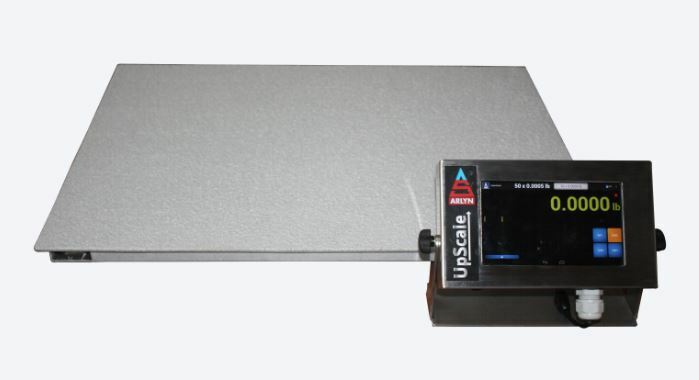 All load cells fitted on series 320 scales are made from heat-treated stainless steel alloy, which can help them to also handle conditions that could potentially stress other models. Those looking for a scale that can handle objects up to 500 lbs. may want to look into the 320D-CR, which offers a 0.1 lbs. resolution. These scales feature platforms 20″x27″ in size. Keep in mind that all models come with a wide range of capacities, resolutions and platform dimensions. Companies that have very particular needs, for instance, may want to consider investing in a 5-4410-CR scale. With an incredible 10,000 lbs. capacity and a 2 lbs. resolution, it’s perfect for taking on the most massive jobs. The weighing platform measures a generous 48″x48″, so most companies should find that it can tackle even the largest jobs without becoming unwieldy. This makes it an ideal choice for those who have to weigh very large cylinders on a regular basis, since the platform can fit them without any part hanging off of the edges. Smaller platforms sometimes force some portion of a cylinder’s footprint off of the weighing platform, which can make the load unstable. Any scale an organization orders from Arlyn comes with a number of configurable options, which include Android-powered digital indicators designed to take the frustration out of datalogging tasks. Since Arlyn Scales is both a distributor and manufacturer, they can discuss custom options with any manufacturing operation that needs them. Companies that need special designs can have scales made for them in-house at Arlyn Scale’s US-based factory. Regardless of their needs, Arlyn Scales can turn their dreams into a reality at factory-direct prices. All industrial scales have a platform that is coated in a substance that is supposed to resist scratching. The majority of scales use enamel paint or powder coatings. These are fine for scales outside the industrial setting, but they aren’t as rugged as other available coatings. If you want the best longevity, then you need to choose a heavy-duty scale that uses an epoxy and zinc coating. The other two coatings do not resist scratching very well, and you will find cracks in the platform in a few months or years. These scratches may not seem too bad at first, but this will shave years off your scale’s longevity. Moisture can easily penetrate to the scale’s interior through these cracks. This causes the platform to rust rendering the scale useless. The epoxy and zinc finish will last much longer, and the compound naturally resists rust if any scratches manifest. The last thing you need for the best heavy duty scale is an LCD display. These displays are very easy to read because they use large numbers. You can also choose between pounds and kilograms, and there is an option to easily subtract the container weight from the actual load. We are premium manufacturers of industrial scales, and we ensure that every feature is perfect for the industrial setting. 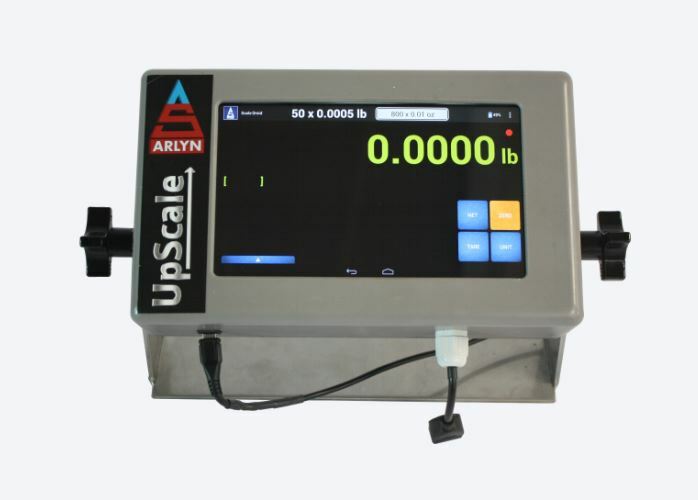 If you want a rugged scale that can withstand punishment, last for years and deliver the most accurate measurements, then you need a scale from Arlyn Scales. If you have any questions or looking for further information, please do not hesitate to contact us via our online contact form.